This is just supposed to be... Minecraft styled, no bends or Y and Z. The ambience is too low to be Minecraft. Also, theres no fog, and that's in Minecraft. I'm a dummy and have no clue how to do either! I'd say this is more like "Minecraft with Shaders" since vanilla Minecraft doesn't have Depth of Field or realistic shadows. Not a bad effort, though. Id add some cows or sheep, just to make it feel more Minecraft. I didn’t even notice it. The fog settings are in the background settings. Well minecraft does use Y rotation for breaking blocks / punching. It doesn't have to be completely un-realistic. It can be minecraft, say, with shaders. And no Y just means no rotation on the arms and legs because alex is just walking. Just beacause it's like minecraft doesn't mean it's unrealistic. The title ("Minecraft") implies it's supposed to be vanilla mc. 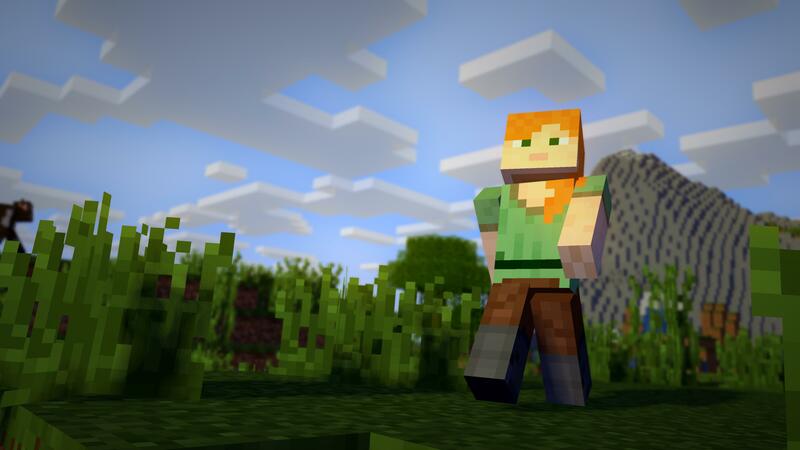 ^Implies they think Minecraft doesn't have Y or Z rotation, and has nothing to do with the fact that the Alex model character is walking, at least that's how it sounded. You have an obsession with different colors. Minecraft uses pixellated circles for entity shadows. Using flat cylinders would be too detailed. Location: Australia, where everything wants to kill you. just google images of Minecraft? Reference images always help. It doesn't have to be completely un-realistic. I dont often use emojis but seeing this post I just had to print a facepalm and put it in my face while typing this.